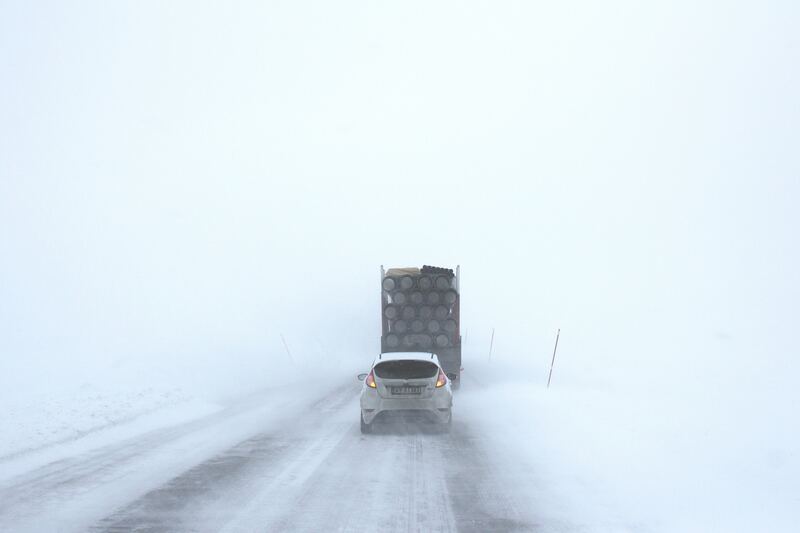 It is important to remember that your vehicle may brake differently on ice or snow. If your car has an anti-lock breaking system (ABS), you should maintain a steady pressure on the brake pedal as your slow down. When your vehicle engages its ABS, you may feel a pulsing in the brake pedal. This is the system engaging. It is important to maintain pressure on the brake once you feel the system engage. If your car doesn’t have ABS, pump your brakes slowly to slow down effectively without sending your car into a skid.